This stunning individual Exposition Special has been exclusively released by The Perth Mint comprising a 2012 Australian Kookaburra coin. Struck from 1oz of 99.9% pure silver, this coin is issued as legal tender under the Australian Currency Act 1965. 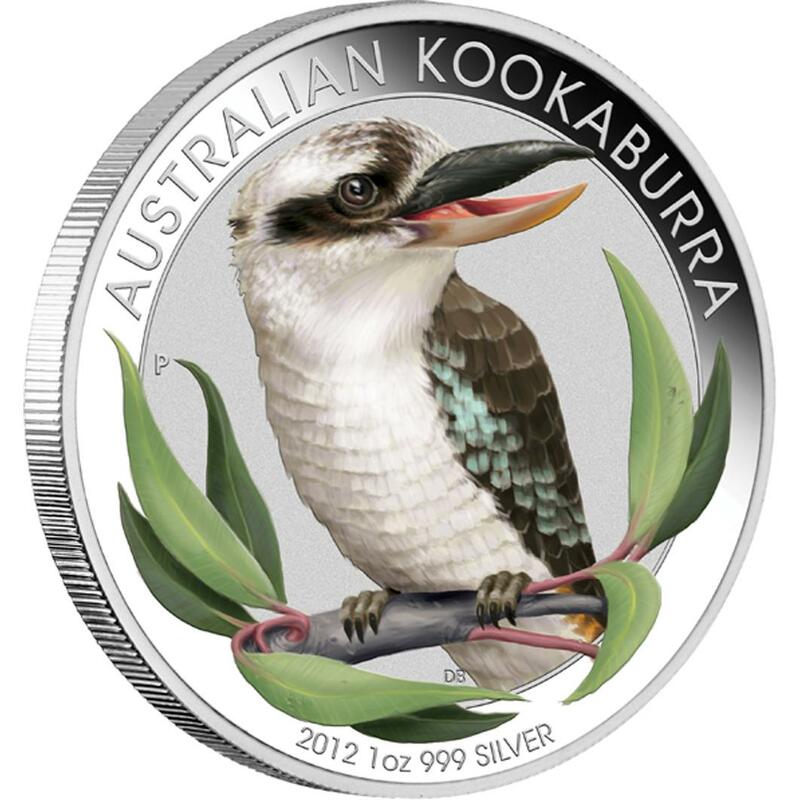 The kookaburra coin’s coloured reverse design portrays a kookaburra perched on a tree branch with gum leaves. The design includes the inscription AUSTRALIAN KOOKABURRA, The Perth Mint’s ‘P’ mintmark and the 2012 year-date. No more than 5,000 of this coin will be released in 2012 Beijing International Coin Exposition packaging. The coin is presented in a vibrantly coloured, slide-out display card and outer shipper.